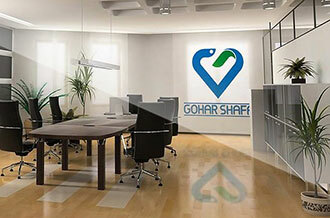 Gohar Shafa Co. recognizes the importance of protecting the privacy of information we may collect from our on-line visitors. To this end, we are committed to using our best efforts to respect the privacy of our on-line visitors. It is our intent to balance our legitimate business interests in collecting and using information received from and about you with your reasonable expectations of privacy. The following is the way we handle information learned about you from your visit to our Internet site. Gohar Shafa Co. Internet site may use "cookies" to store and sometimes track information about your on-line visits. Cookies are pieces of information that are sent to browsers from a web server and stored on your computer's hard drive. Cookies can tell us how and when pages in an Internet site are visited and by how many people. This technology does not collect personally identifiable information; the information collected is in an aggregate, non-identifiable form. You will remain anonymous throughout your visit. Cookies are commonly used on Internet sites and do not harm your computer. With the information we can learn through this technology, we hope to improve our sites. Gohar Shafa Co. collects personally identifiable information, such as names, addresses, E-mail addresses and the like, only when voluntarily provided by an Internet site visitor. Any and all such information collected by us is used for our internal business purposes only. We will not allow such collected information to be sold, traded or viewed by any third party. The only exceptions to this are when you give us your consent to share this information, when we need to share your information to provide a service that you have requested, or when we are required by law to disclose information. You will not receive E-mail as a result of visiting this site unless you request it. Your use of this site is subject to our Term of Use.